This is a simple and delicious fry. Crab meat has a lovely yet sweet taste when it is cooked with onions and tomatoes. In the end the masala tastes divine by itself. 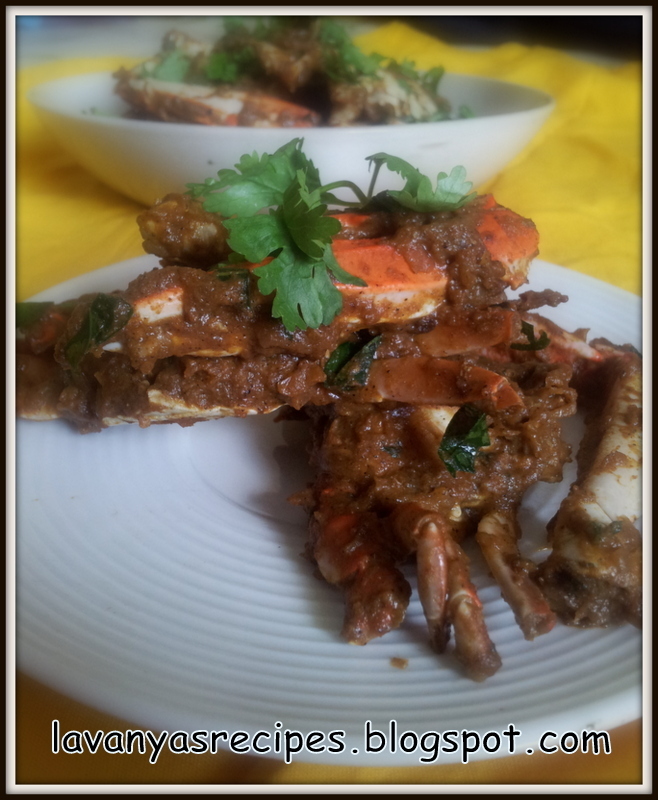 Eating crab is actually an art, guess all crab lovers would agree to this. 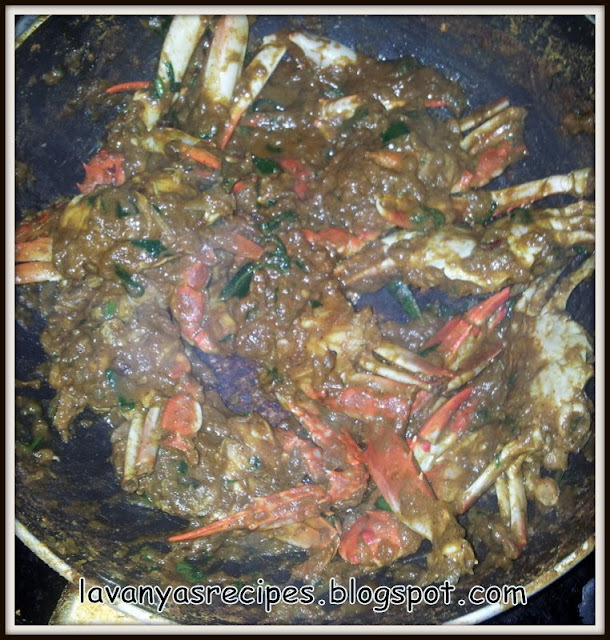 I Learnt this recipe from my mom and this is perfect with plain rice. Personally, I love having this with rasam rice. Adding pepper powder enhances the spicy flavor and gives a mouthwatering delicious fry. 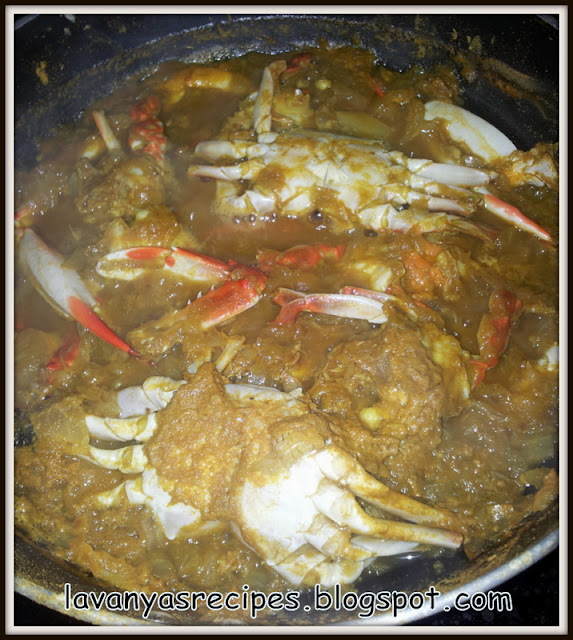 Remove the shells and clean the crabs. Add onions, tomatoes, ginger-garlic paste, chilli-coriander powder, turmeric powder, salt and crab in a pan. Mix well and add water. Cook it for 5-7 minutes or till the colour of the crab changes to light pink. 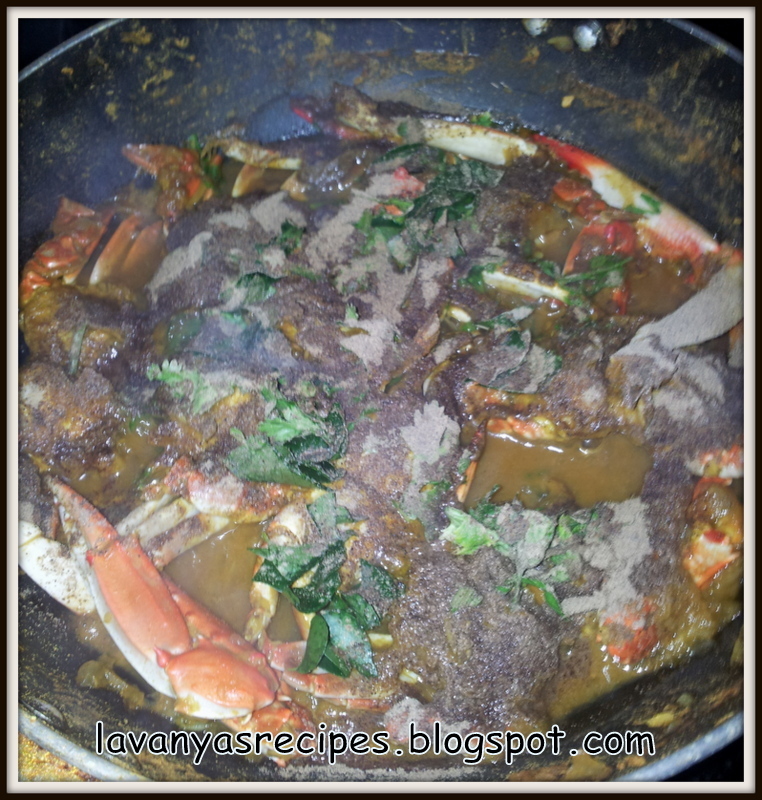 Now add the curry leaves and pepper powder. Mix well and add the oil. Simmer the flame and fry it for 5 minutes. 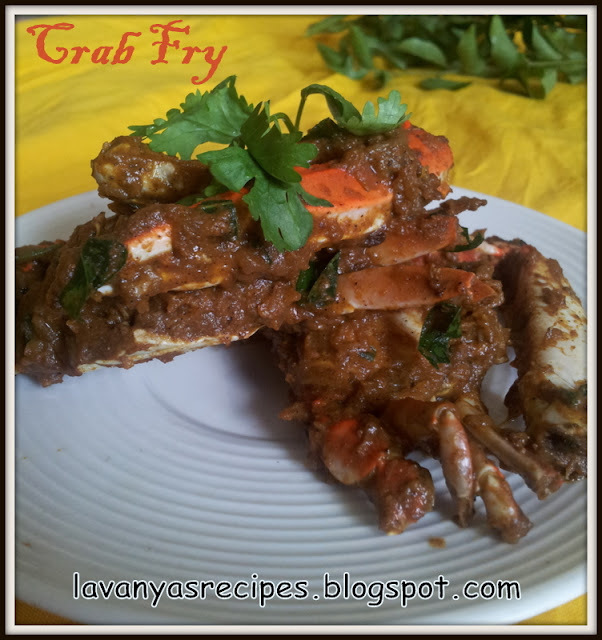 Serve with hot steamed rice or rasam rice. looks so tempting and yummy dear.. I love crab and these look tasty! Yum!